There's really no better time to visit the great public gardens than spring into summer, but why not get off the horticultural highway and see a few lesser known gardens, too! Dotting the country are some truly remarkable places that you may not have heard of but that you need to see. 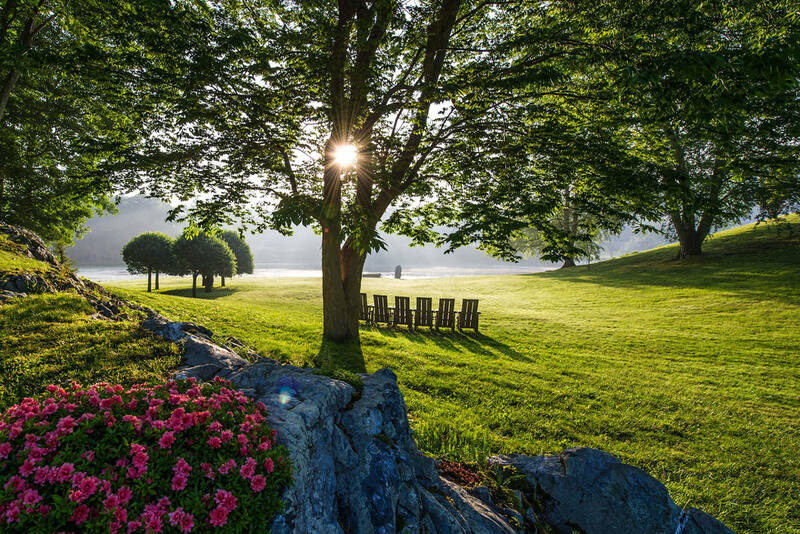 Though often labeled among the top 10 gardens of the world, this remarkable place remains one of the great, mostly undiscovered garden treasures of the Hudson Valley. Gardens and nature vignettes are set around a 40-acre glacial lake, ideal for a 90-minute stroll. You'll see garden rooms created by massive boulders, the aged beauty of the stone stairs and arches, and the stirring sight of mists, the Air Stream and the Fountain Jet. It's an expansive place, but manages to be intimate (and rich with steal-me ideas) all at once. More information here. 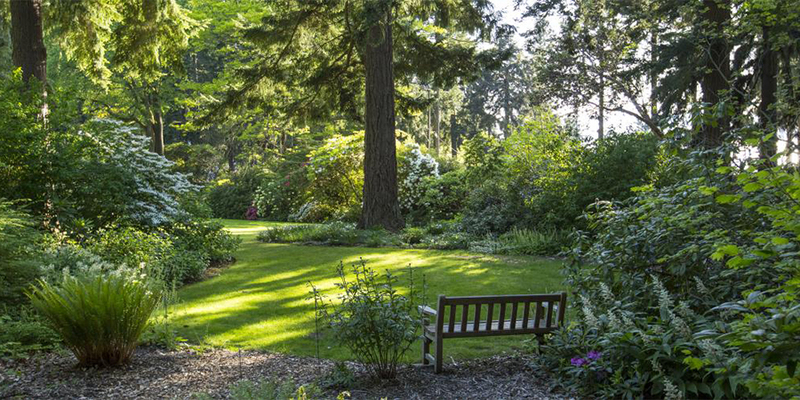 While not as well known as the nearby Bloedel Reserve, this garden presents the opportunity to see up close the work of the Olmsted Brothers, who designed some of the most famous public and private gardens of the early 20th century. Taking advantage of the natural features of the land and the sweeping views of Puget Sound and the Olympic Mountains, there are paths through stands of old-growth trees and woodland gardens, as well as a fine collection of rhododendrons and plants native to the Pacific Northwest. More information here. Though the Fords were avid gardeners themselves, the actual grounds and gardens were designed by esteemed landscape architect Jens Jensen. 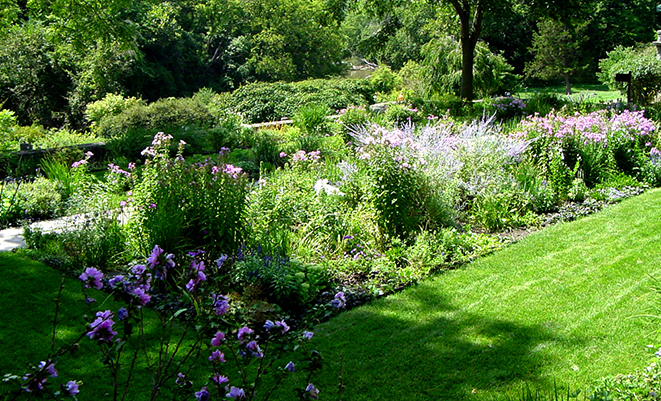 Jensen played a prominent role in the creation of a uniquely North American design aesthetic, the Prairie Style, some of which can be seen in these impressive gardens that sit along the Rouge River. Jensen returned the farm to meadows and open fields, carving out a large pond, orchards, a hillside grotto, and formal gardens. Take time to walk the trails and breathe in the serenity. More information here. 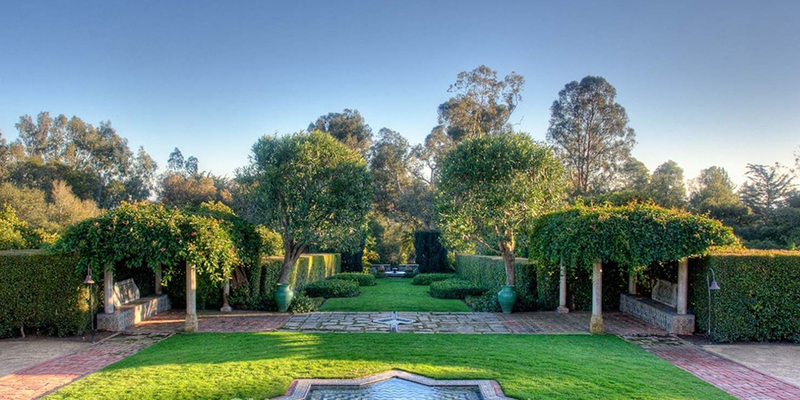 A masterpiece (and hidden gem) set above the Pacific near Santa Barbara. The sweeping gardens merge Moorish and Mediterranean influences with whitewashed stone walled open-air rooms, mesmerizing Moorish-style tiled fountains and glazed tiles framed by romantic archways. Citrus orchards, perennial borders, a dominant axial vista, and a cactus garden too, all enclosed by tall stands of eucalyptus intermixed with palm trees. If you're already heading to Lotusland, this is less than 2 miles away! More information here.